Download CW Multicategories and install - component. And thats all. Just one click install and all is done. All is ONE-CLICK install and plugins will be installed and activated during compononent installation. 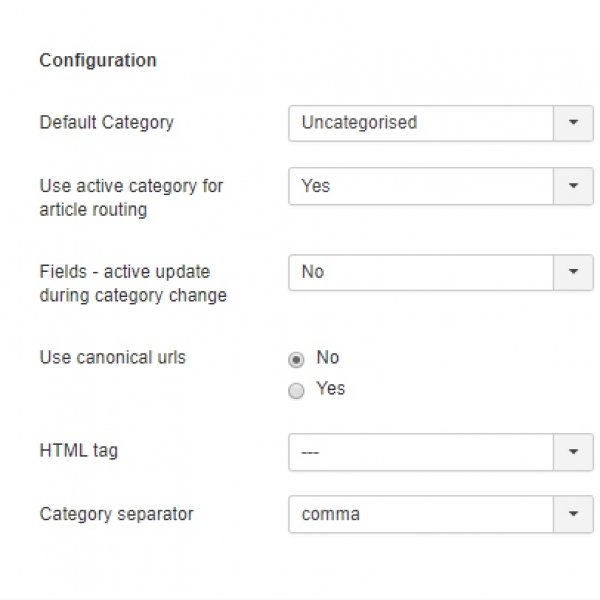 Use active category for article routing - If set yes, article links will be routed to current category - can be used for category blogs etc. 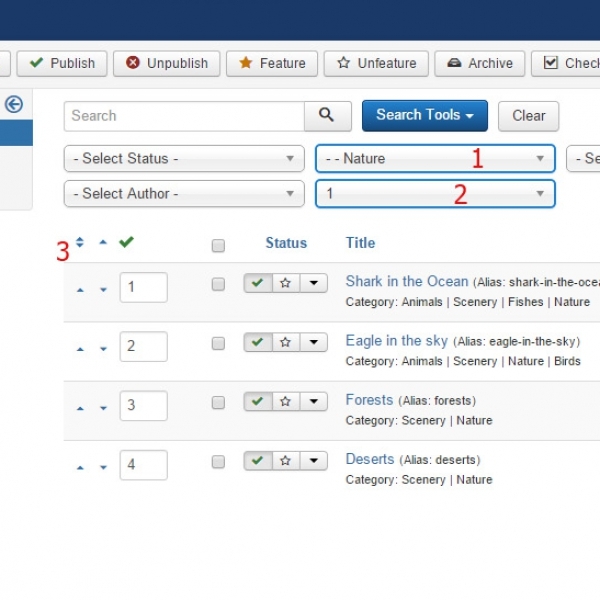 Fields - active update during category change - If set yes, category changes in articles form will result in dynamic update of form for updating Custom Fields immediately upon category change. If set NO, changes will apply only after saving the article. 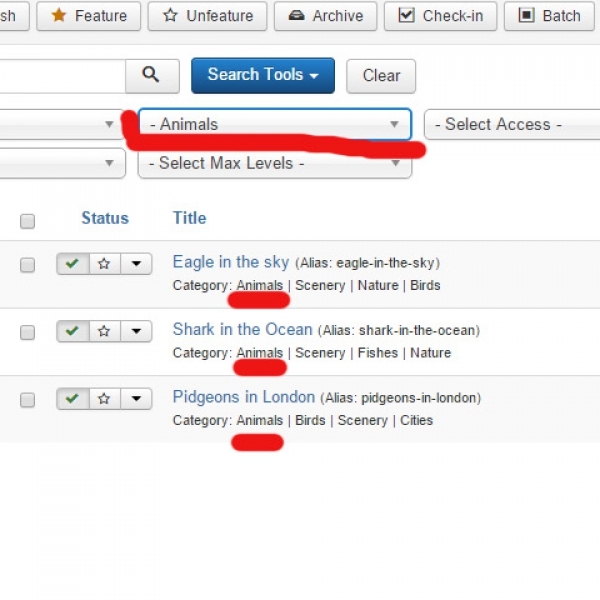 Use Canonical URL - SEO feature - you can turn on/off Using canonical URLs - If enabled, article detail from the first selected category will be pointed as main content URL and details from other categories will be marked with canonical meta tag pointing on first category article detail link, preventing duplicite content for search engines. 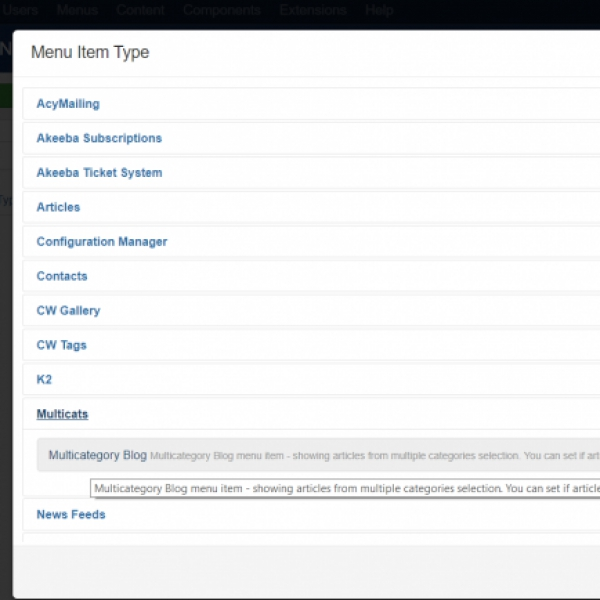 Articles tab - settings for Multicategory Blog which is new custom Menu Item Type for displaying articles from more categories. 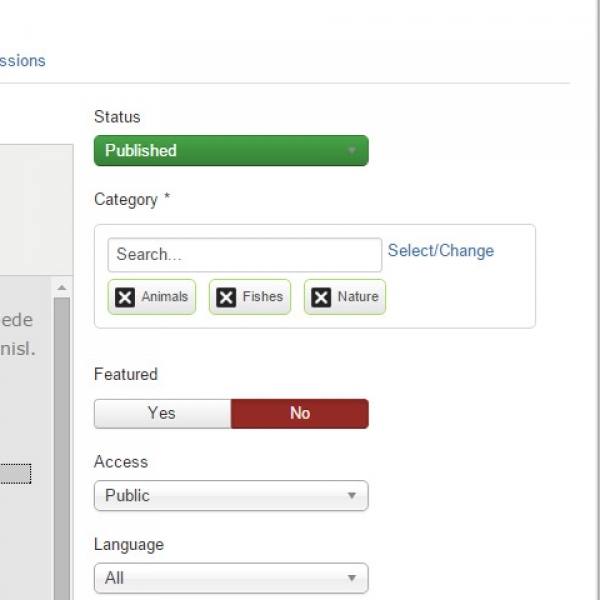 Since version 3.9.2.3 you can gain access to direct updates from Joomla updater. 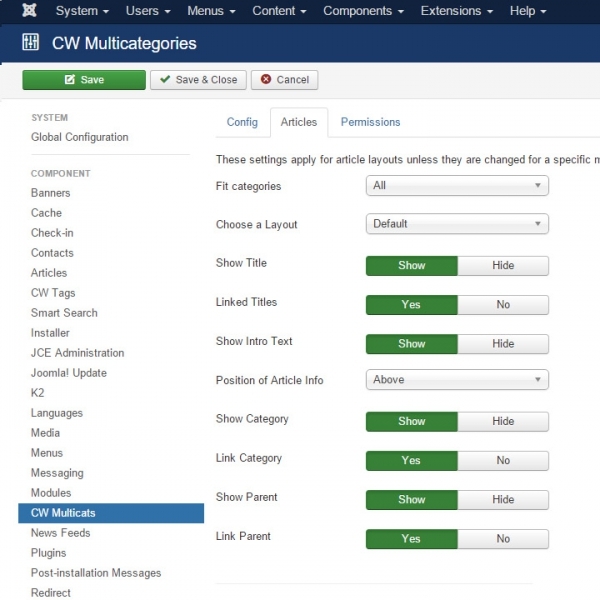 You just need to go to Components - CW Multicats - Options and fill your License Key to your subscription under user account with valid subscription. You can find your License Key under menu My Subscriptions in user menu (right top corner on website). Go to Components - CW Multicats - Options and fill your Subscription ID and Login credentials to your user account with valid subscription. You can find your Subscription ID under menu My Subscriptions in user menu (right top corner on website). You can use autocomplete search filter feature. 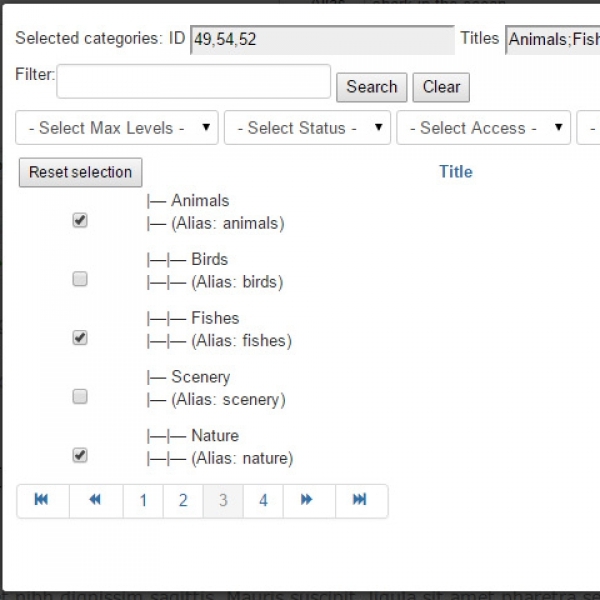 You can also sort selected categories by Drag and Drop. 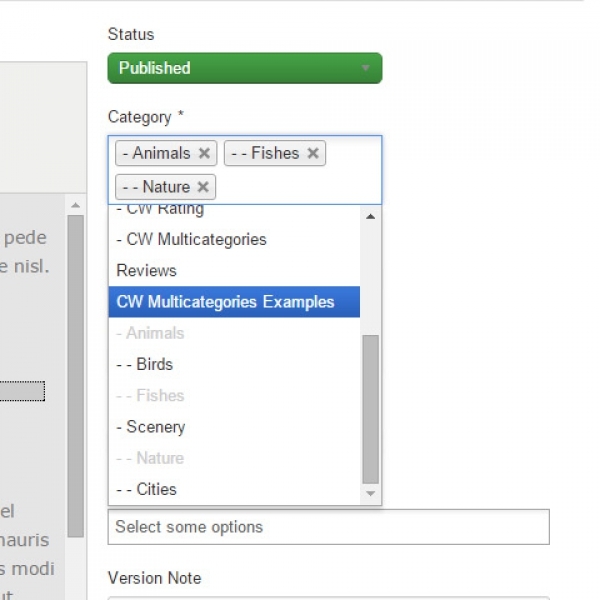 Multicategory is available also in Frontend Article Edit Form. 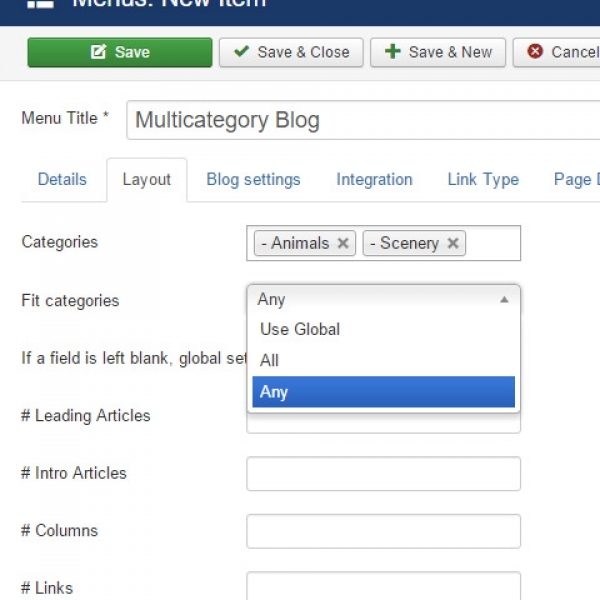 Standard layout is the OLD layout created in first versions of CW Multicategories for Joomla 2.5. We recommend to use Chosen layout as it is usually without issues and much faster to work with in overall. 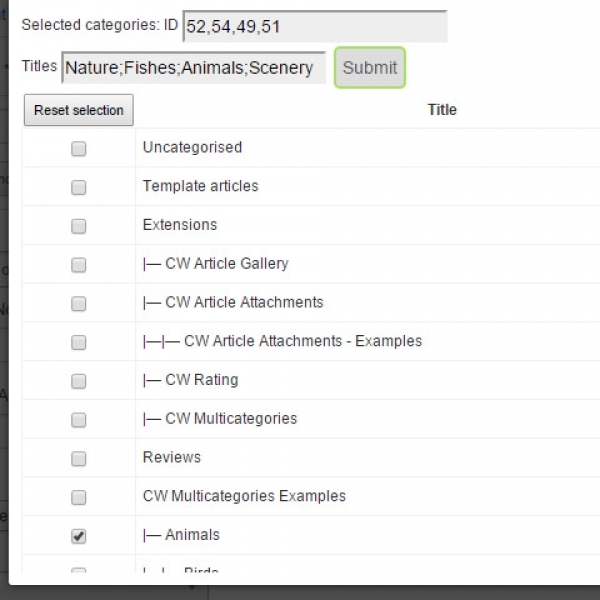 In article edit/create form view - you can see a button for category selection and list of selected categories in green bubbles. You can also remove assigned categories by clicking on black/white cross icon. New menu item for CW Multicats component. 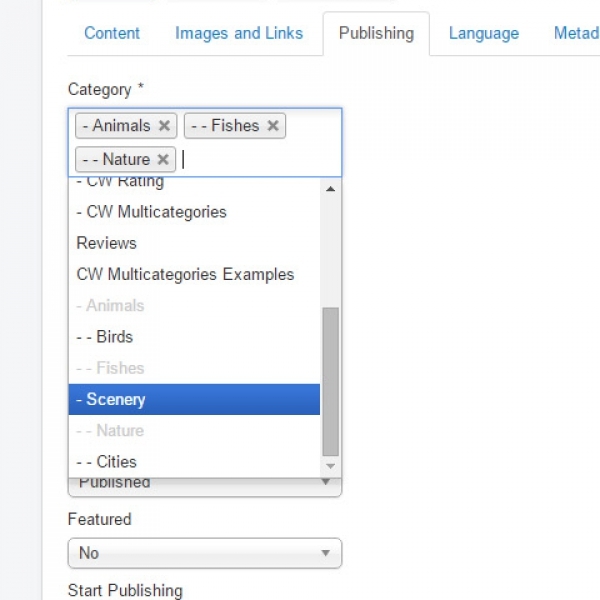 Multicategory Blog - possibility to set up blog for displaying articles from multiple categories. Possible to set if article has to belong to all selected categories or at least any of them. Article Preview button functionality added to Toolbar! You can use button to click for opening modal popup window view preview of how article looks on site or you can use right click and open in new window for full view. In Components - CW MCats - go to Options, where you can enable/disable creating canonical urls. It solves the problem with considering multiple URLs for one article as duplicite content by Google robots while indexing. 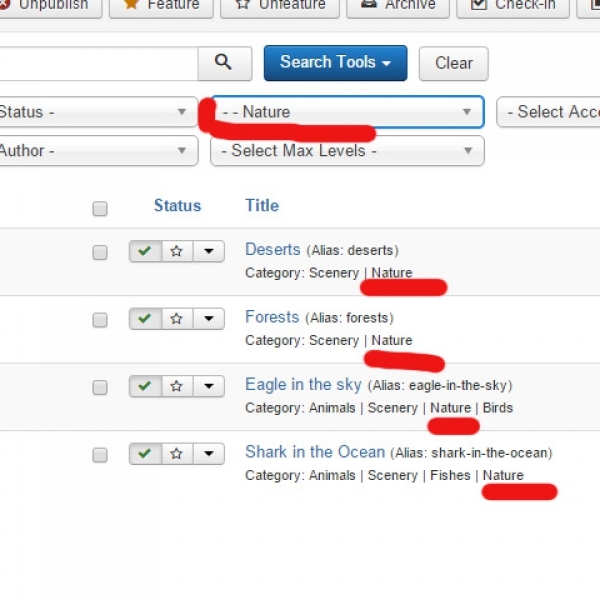 If you want on purpose to have indexed all urls for such article in all categories, set this parameter as disabled. 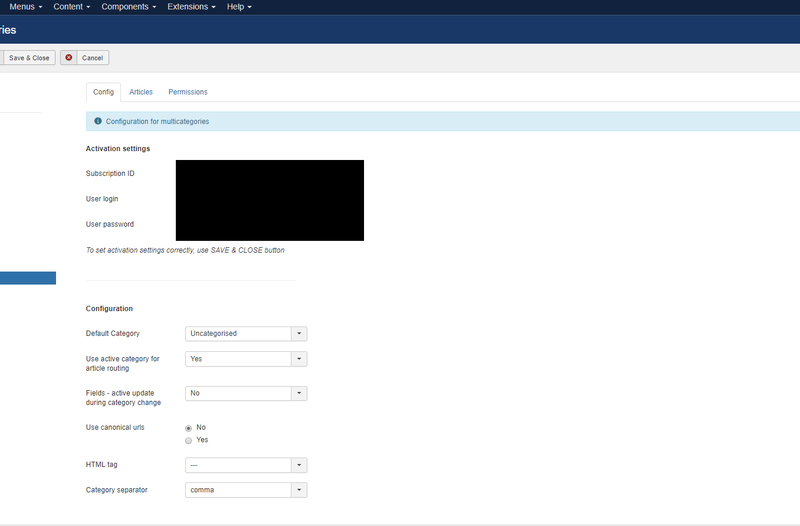 Using native Joomla ACL offers setting access permissions to different usergroups and access levels, so you can hide the component from the Components menu in administration (doesnt have effect on functionality - which still remains active). CW Multicategories offers using language files. Best way to keep compatiblity of using CW Multicategories with Article module for displaying Articles is to use CW News Module offering plenty of amazing settings and layouts. 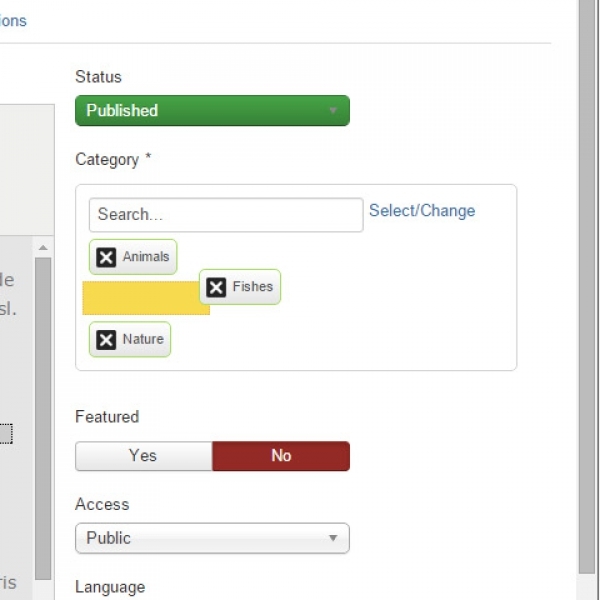 Joomla Native modules are fully compatible. Now let's see how will look like articles list in administration. Our article is now published also in "Nature". So lets try filter view for this category. ..and why primary order to "no order"? Because articles can have more categories and therefore it will sort articles by their category and then by articles ordering. 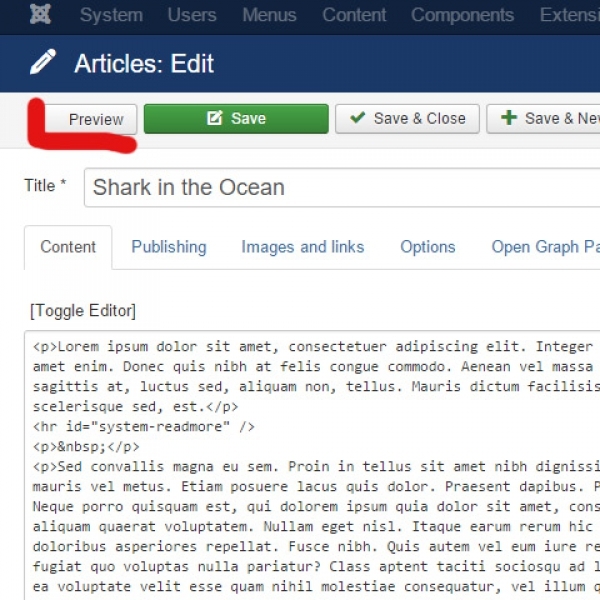 If you are using custom Joomla template on your site and you dont see all assigned categories in your blog or article detail page - it is probably because your template has override files for com_content native template files. Remember to check the code if there is mentioned $this->item->id or $item->id and use the correct variable definition. This will show all assigned categories to the article. 3) Copy folder from 1) into 2) ...if there are already such files, backup them first! If needed more assistance, open support ticket. For Gantry based templates create support ticket. We are preparing a guide for this as well and will be presented as soon as possible. ISSUES Since new version 3.5.1.6? 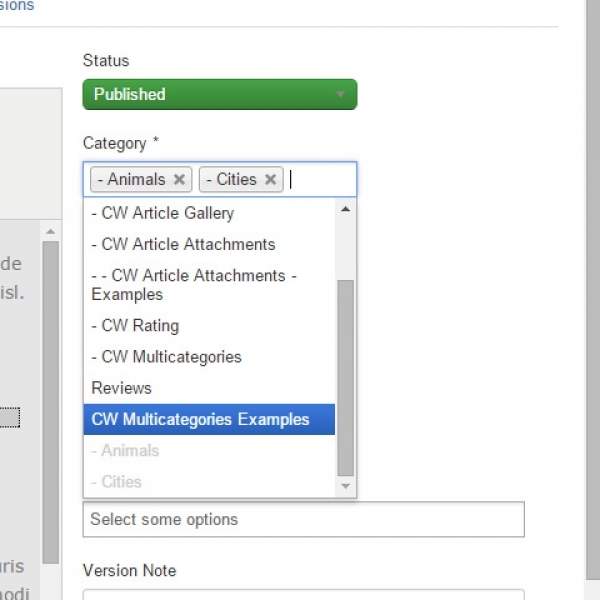 Content - CW Multicats plugin is re-loading the article form, it is NEEDED to pay attention on CONTENT plugins order. Place this plugin above other 3rd party content plugins - so they will load AFTER CW Multicats are initialized.